As we’re a bit of a foodies, we always try to find cool places to eat out. 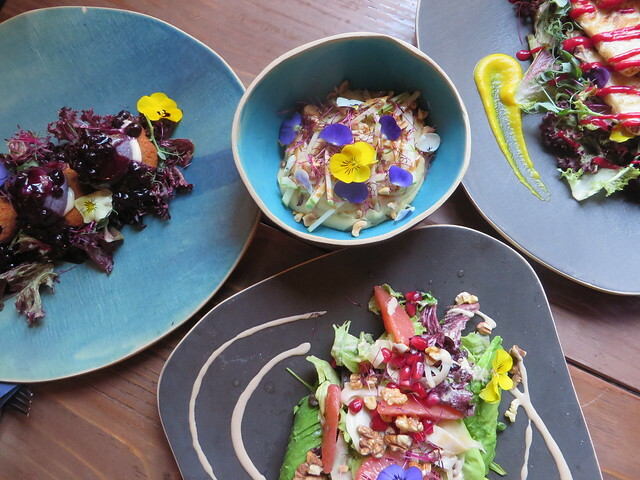 We’re always in search of small and cozy places, with carefully selected ingredients that give so much flavor to each dish, with cool interior designs, with owners and chefs that pay attention to every detail. 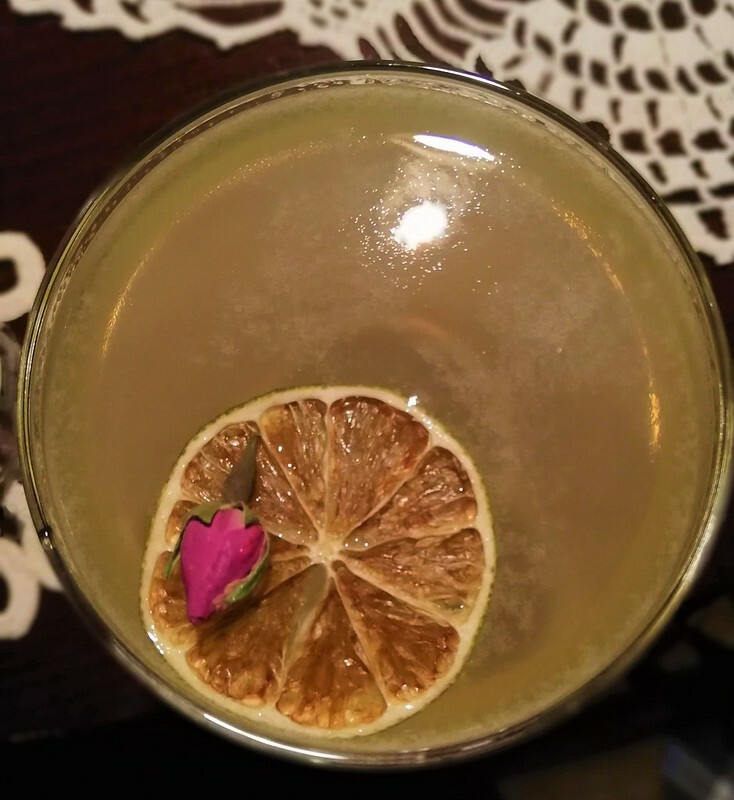 So here’s a list of the places we already tried out while in Belgrade and liked a lot. The waiting list we have for places we haven’t yet tried out is quite big, so at the end of this article there will be a map with everything that got into our attention. 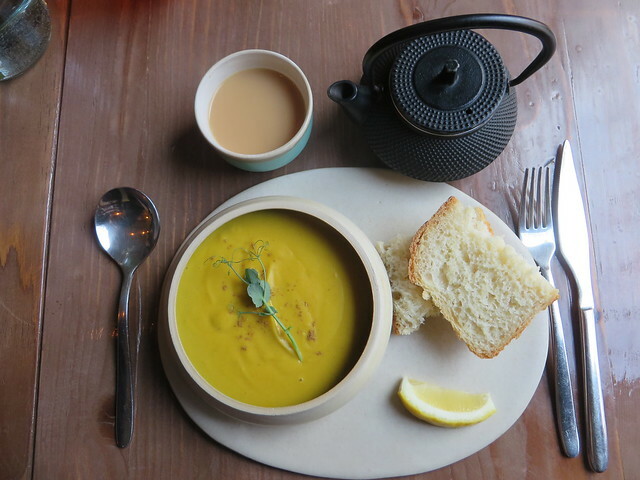 This place was such a great inspiration for a warm lunch. 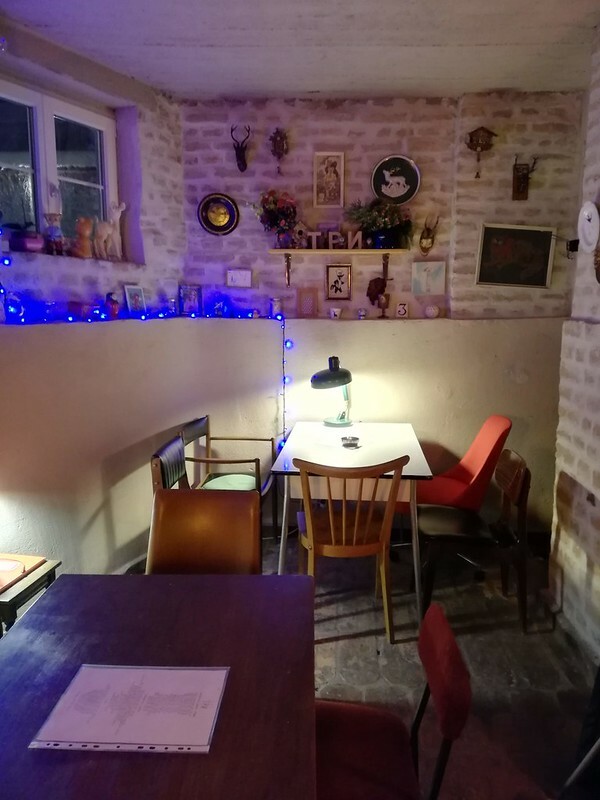 Small and cozy, with a simple, but elegant interior design, Miamiam offers all the warmth you’re looking for after wondering on the streets of Belgrade. Not too mention the super tasty Masala Tea that gives you the extra warmth needed to explore the menu and decide what to order. 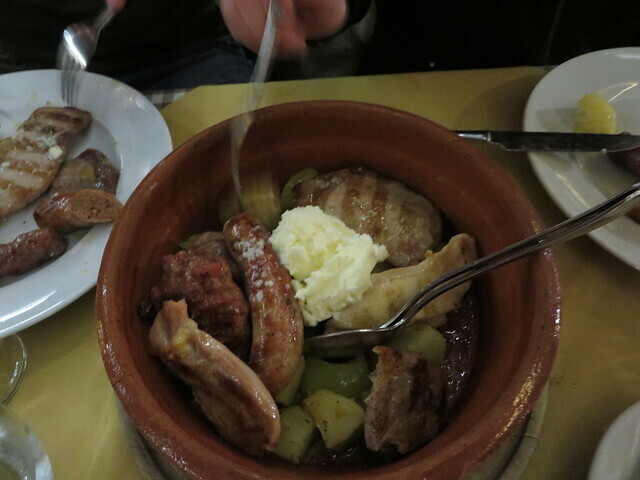 Being a larger group offered us the chance to taste almost all the dishes available on the rather small menu. We started with some soups (the lentil and coconut one was pure heaven) and then tried basically all the starters they had. Everything was super tasty, with much attention given to plating, but I would go again for sure for the roasted beetroot and avocado salada and for the veggie fritters. 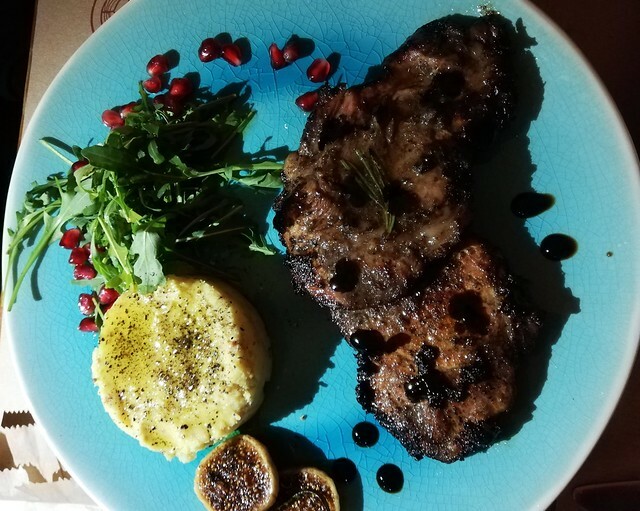 Hidden away from the main street, in a beautiful backyard, with a lovely summer terrace and a very chic interior, this is the locals pick when in search of an authentic experience in the world of the Mediterranean (Greek especially, but also Middle East, Italy and Spain ) cuisine. We got here for dinner and were lucky enough to get a table for 5 without a reservation (although on a Saturday night, that’s not normally possible). The staff was nice and friendly and managed to get us in and let us explore the endless mezze menu they had. 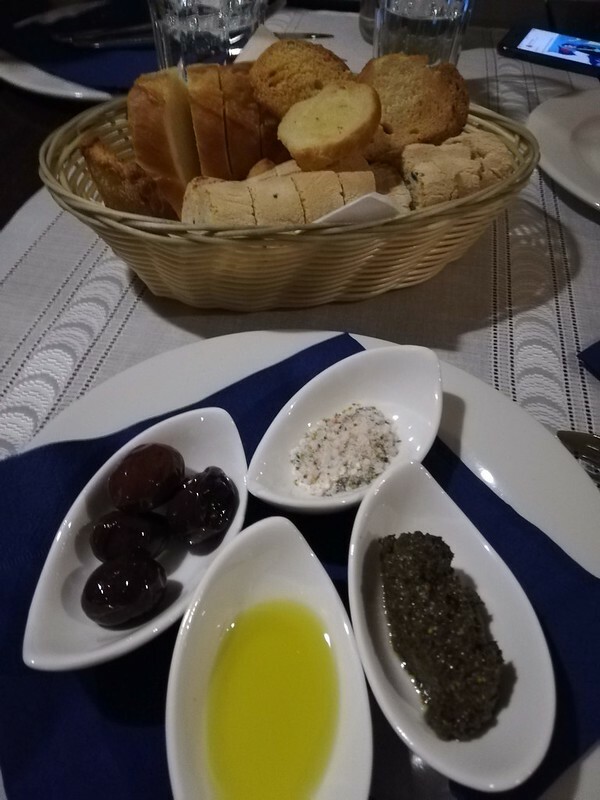 We started with the house wine – brought from Greece, from local and small vineyards and continued with basically almost all the starters they had on the menu – from eggplants, to cheese, olives, fava beans, beef or pork kebabs, lamb samosas to sea food. Everything is incredibly fresh and full of flavor. 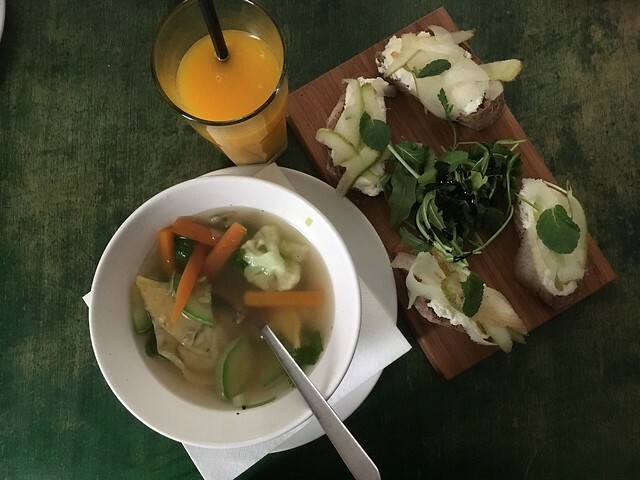 With a motto like theirs – ‘Soul Food’ we just couldn’t have said ‘No’ to a some sort of brunch on a Sunday, with a bit of hangover after partying until the morning. 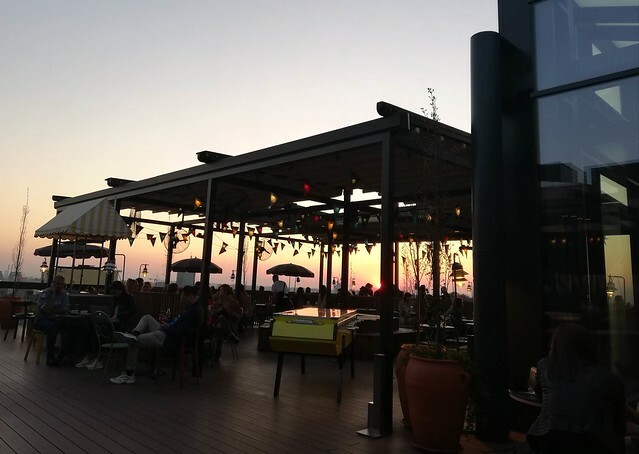 This place is probably the most hipsterish one in Belgrade, with a cool interior design and with really cool people who come and eat here. With a menu that changes twice a year, depending on the available ingredients, expect to find a one-pager full of taste, color and flavor. Nothing fancy, a bit of everything, from every corner of the world. 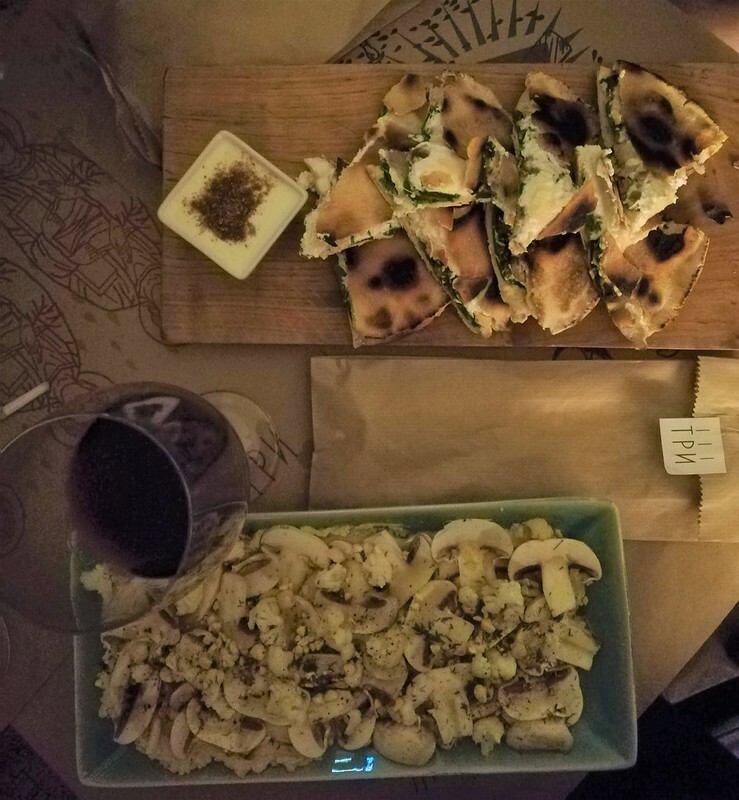 What we absolutely loved here were the Wan Tan Soup, the Pear and Ricotta bruschetti, the tarte flambée (made exactly how they should be, with a very, very thin dough) and the Parmigiana di Melanzane (a very tasty moussaka with eggplants and feta cheese). All together with some local craft beer, to make the hangover go away quicker. 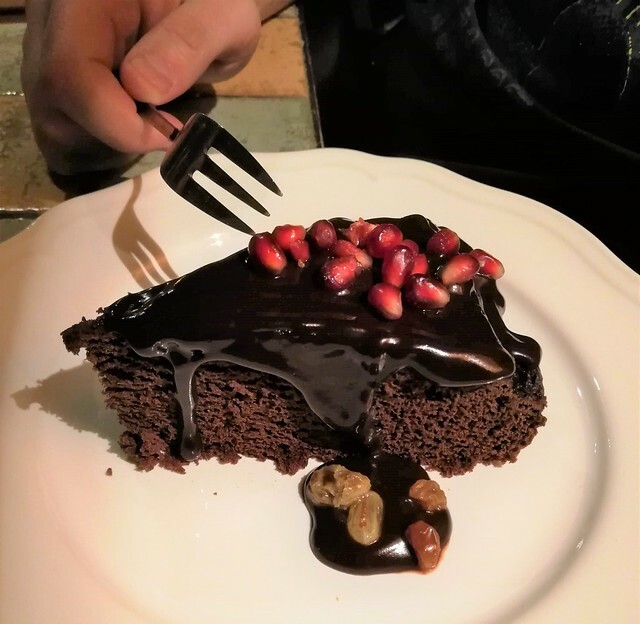 I have to admit that for us, in terms of eating out in Belgrade, this place was, to say the least, the cherry on top of the cake. 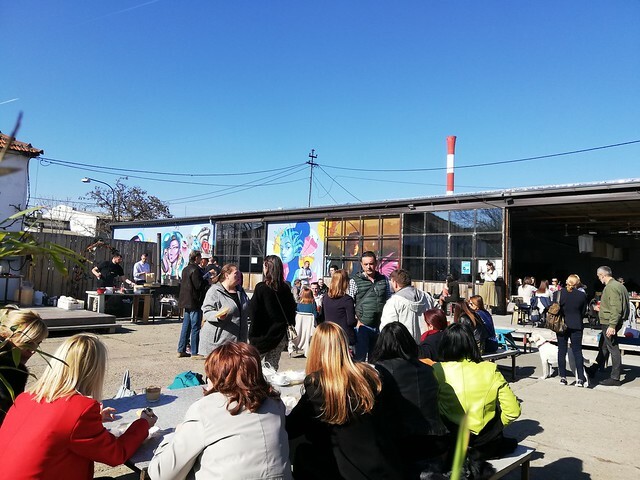 It was a recommendation from a local friend who said that if we really want to experience the Serbian new cuisine, than this is the place to be. 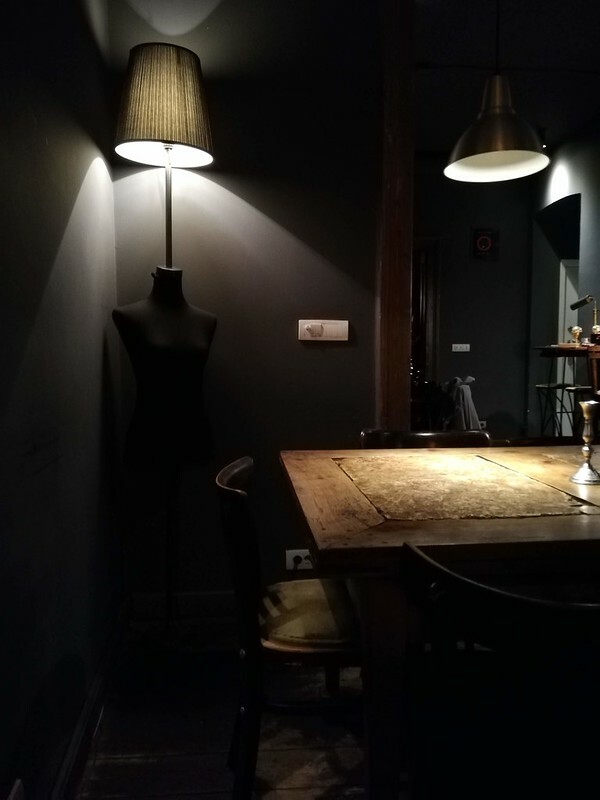 The place looks very stylish, set in a beautiful house, in the city center, but away from all the city noise. Having dinner in the summer time, in the lovely terrace they have outside, must be a true delight. 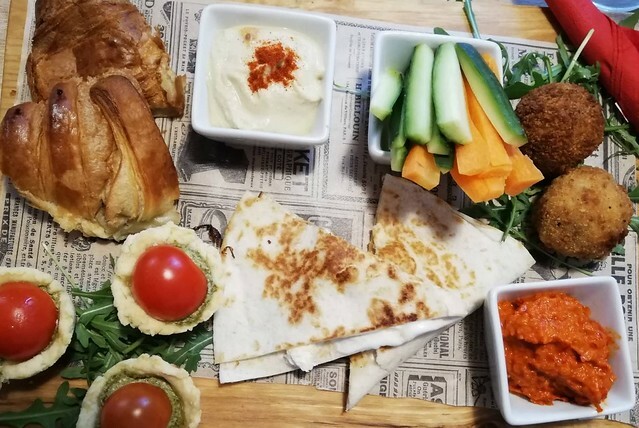 The menu is built on some of the Serbian traditional recipes, with local and fresh ingredients from the market, but giving every dish a touch of modern and creativity. 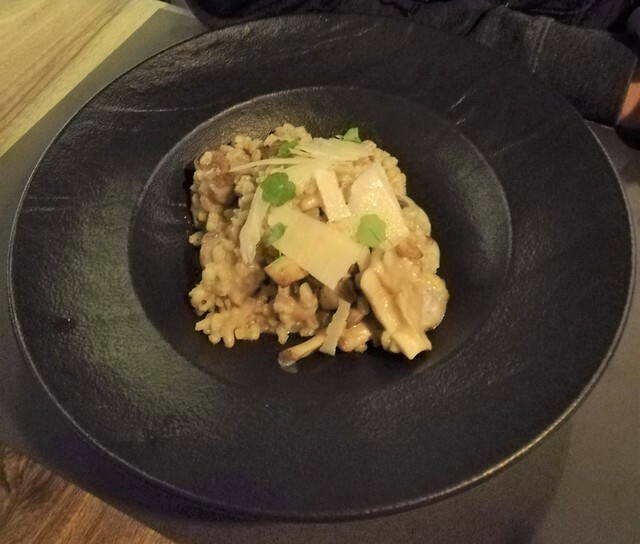 Let’s call it fine dining, but in terms of how rich and carefully prepared each dish is, not necessarily in terms of high prices and formal atmosphere. 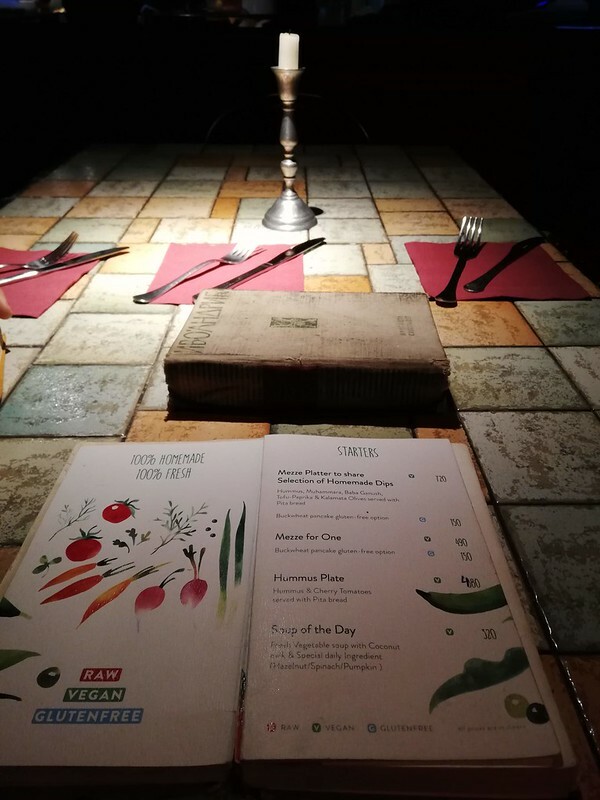 The menu is just a few pages (and has a really cool design), but has everything you could want – all sorts of meat dishes (including the lamb dish and the duck breast dish that we tried and that were super tasty), vegetarian, starters and last, but not least desert. Which for us was an absolute experience. 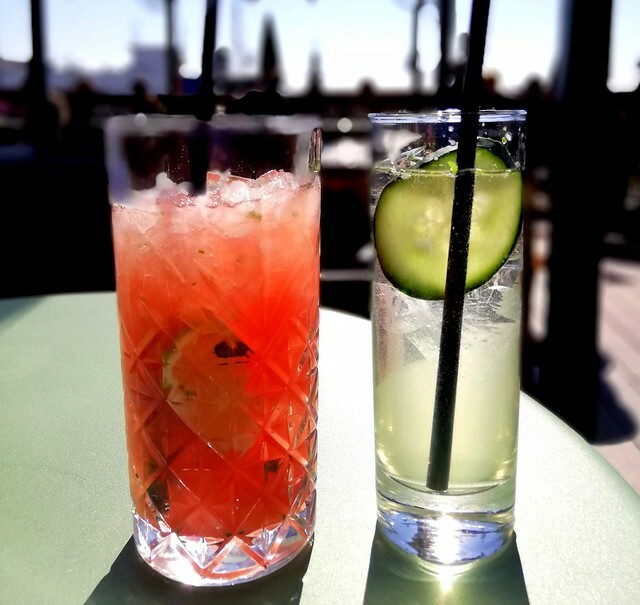 All home made, with a perfect combination of sweet, sour and mint flavors. If I ever opened a place, it would for sure be like Restoran Tri. Hidden away, but still in the city center, a super nice and cozy outdoor terrace and one of the most authentic indoor looks ever, that makes feel so at home. Restoran Tri is about three friends passionate about cooking and tasty food. As their website says it, they handmade pasta, they get meat from the butcher they’ve known for years, and cookies cooked by themselves. Each ingredient of their gastronomic venture is especially chosen and used with love, through the genetic heritage of spectacular grandmas. Every dish evokes familiar, but it is completely different. 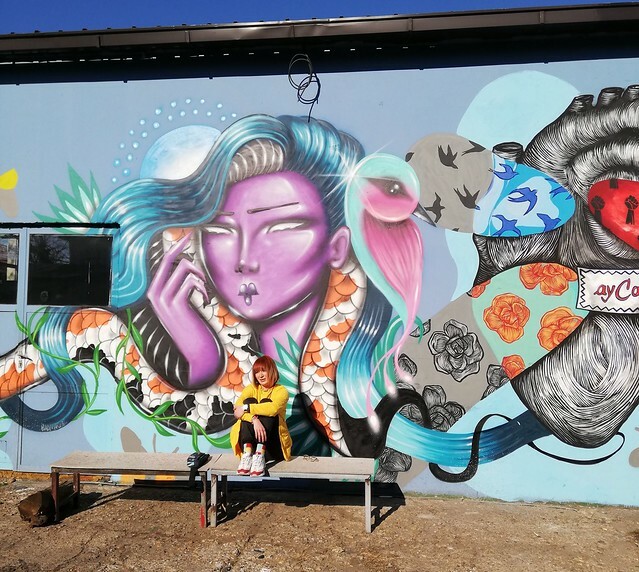 Their creativity is something that amazed us from the first time we checked this place out. 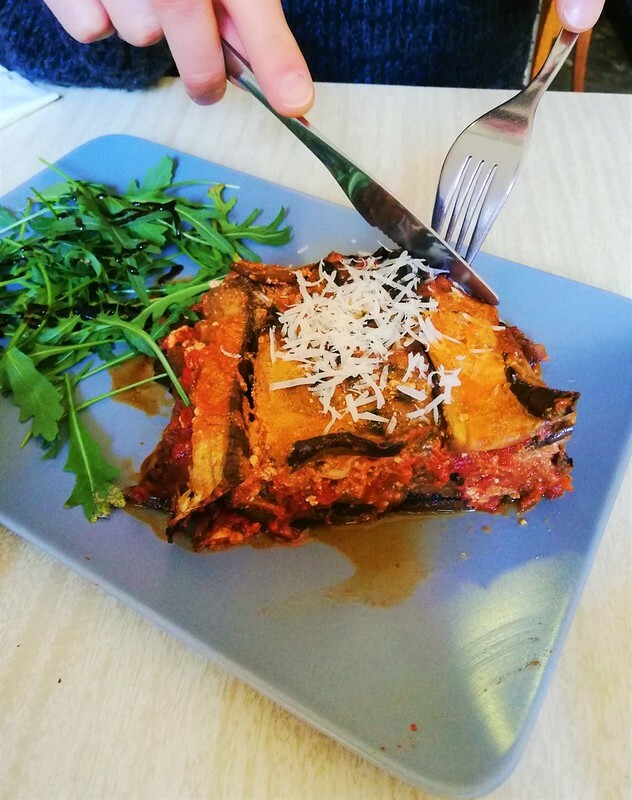 Super simple dishes, but a mixture of ingredients we haven’t seen before, when talking about a mushroom carpaccio or pasta with lavander sauce, about their curry dishes or their perfect desserts. Endorfin is a gastro-pub, a bit more fancy than the others I already included in my list, but still very much worth mentioning. 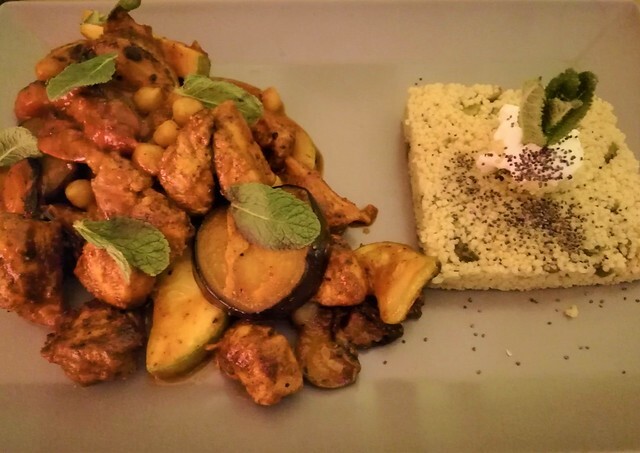 Their menu is a mixture of local and world cuisine, suitable also for vegans and vegetarians, with fresh ingredients and a daring menu. You can find pasta and burgers, but also local recipes with a bit of a modern twist. They also serve breakfast every morning until noon and they have a very good local craft beer selection, very much worth a try. They also have a beer tasting menu with food pairing, so that could be a good option to check out. 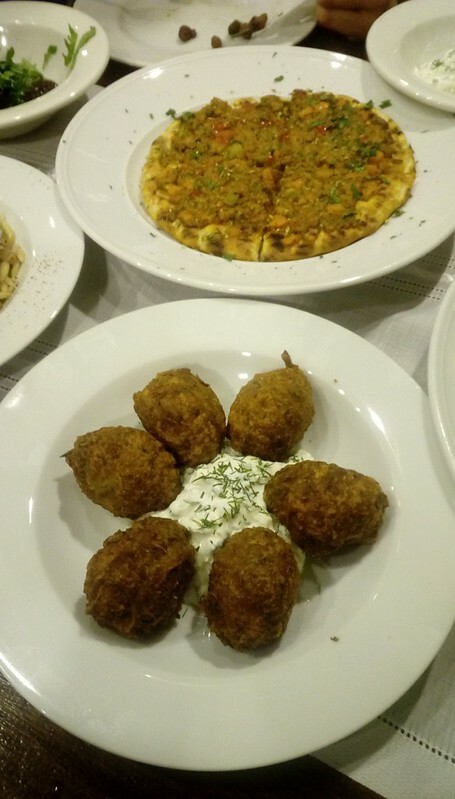 Radost Fina Kuhinjica is by far the coolest vegan-vegetarian restaurant we have set foot in so far. From the moment you open their door (an apartment door) and get in, you will be so amazed by how cozy and homey this place looks like. Their menu is simple and tasty, with a bit of everything. 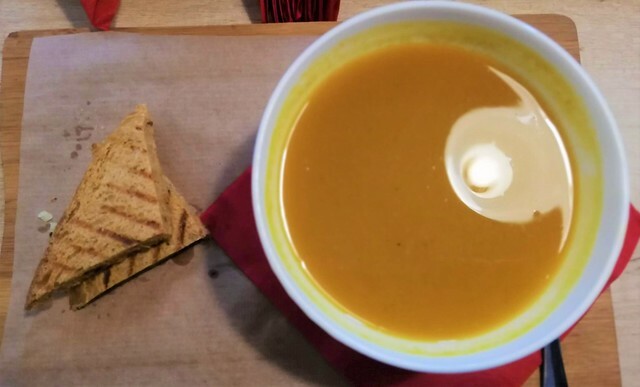 A few starters, 1 – 2 soups and some main dishes followed by a couple of desserts. 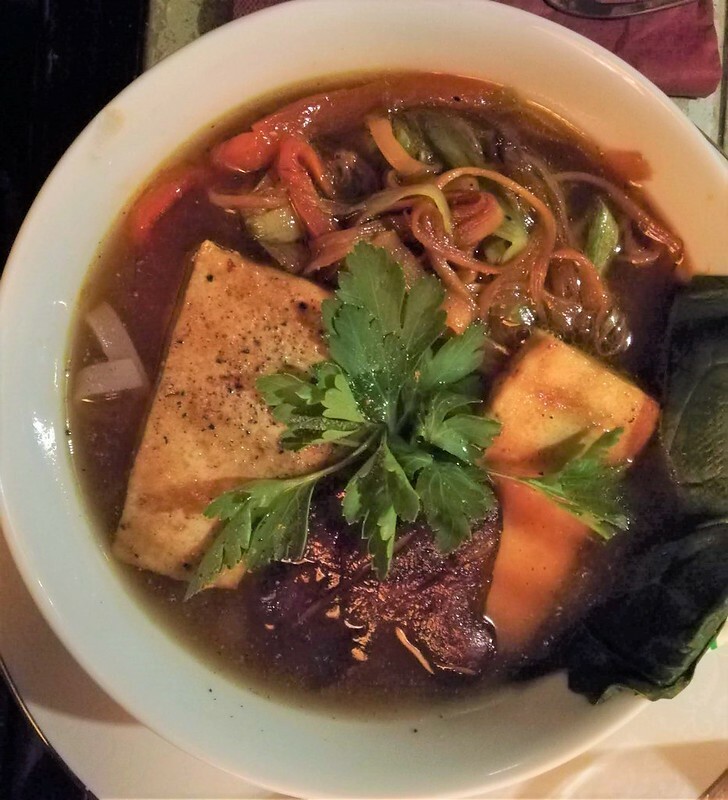 Either we are talking about their range of hummus specialties, their ramen soup, their vegan burgers, lasagna or wraps, everything looks healthy and tastes delicious. Plus the homemade raw vegan desserts, for those who still have some room left. 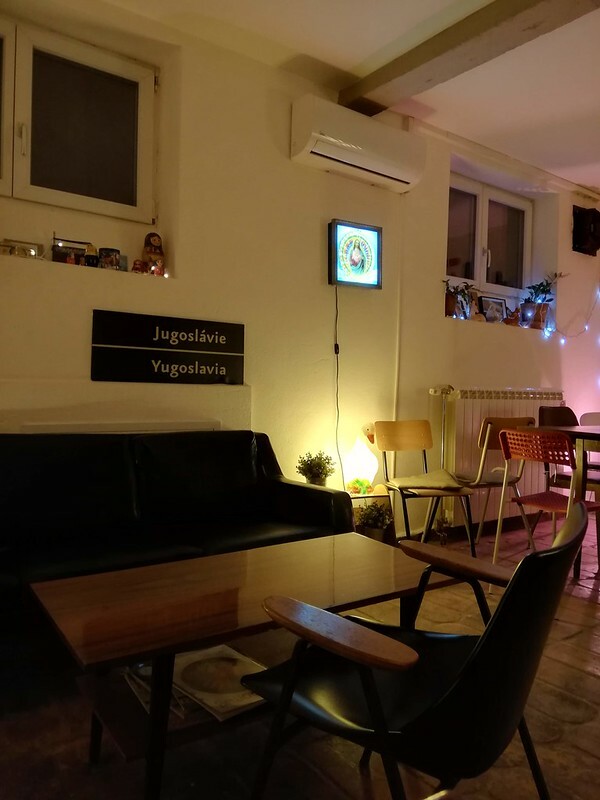 I like their selection of local and craft beers, of Serbian wines and the fact that they have an open kitchen so you can see how the food is getting ready to get to your table. 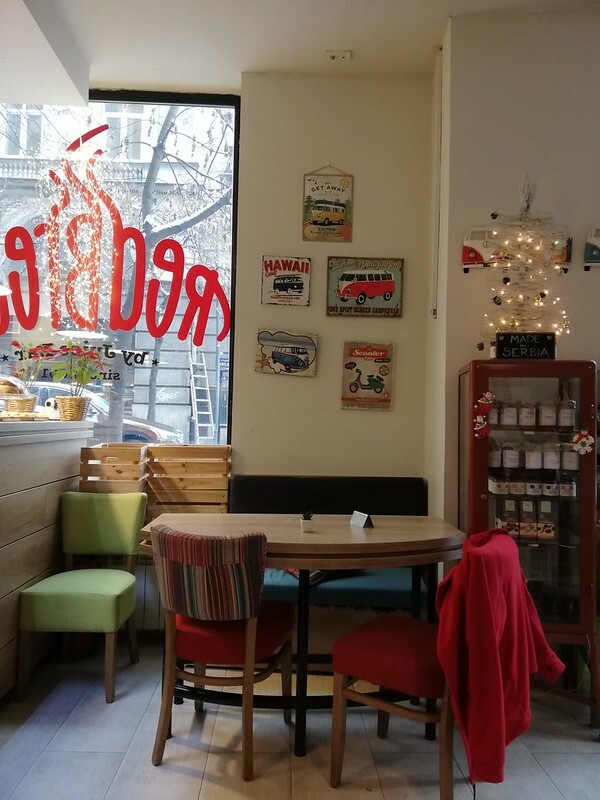 Red Bread is a good option for breakfast and brunch and a good coffee, in a nice atmosphere, with no smoking included (which is rather rare in Belgrade). 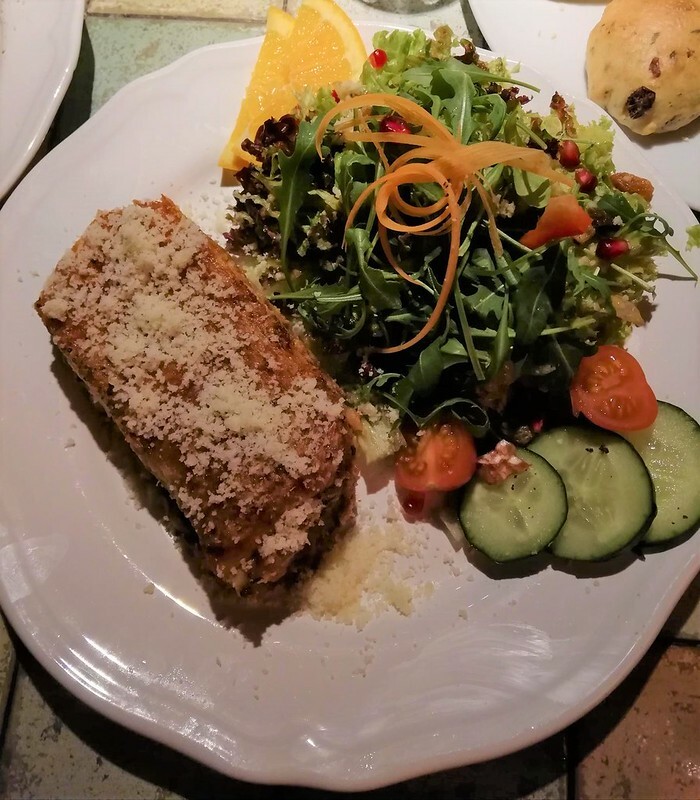 They have quite a rich menu for every taste, with all sorts of bruschetta, panini, small bites and warm soups. Plus a small corner dedicated to small local producers who sell honey, jams and other homemade products. Dva Jelena si the classical traditional Serbian restaurant, so specific to the Eastern European countries. Living in a country similar to Serbia, for us it wasn’t something too out of the ordinary or impressive, but still the experience was, to say the least, unique. The restaurant is one of the oldest and biggest in Belgrade, with about 400 sitting places. 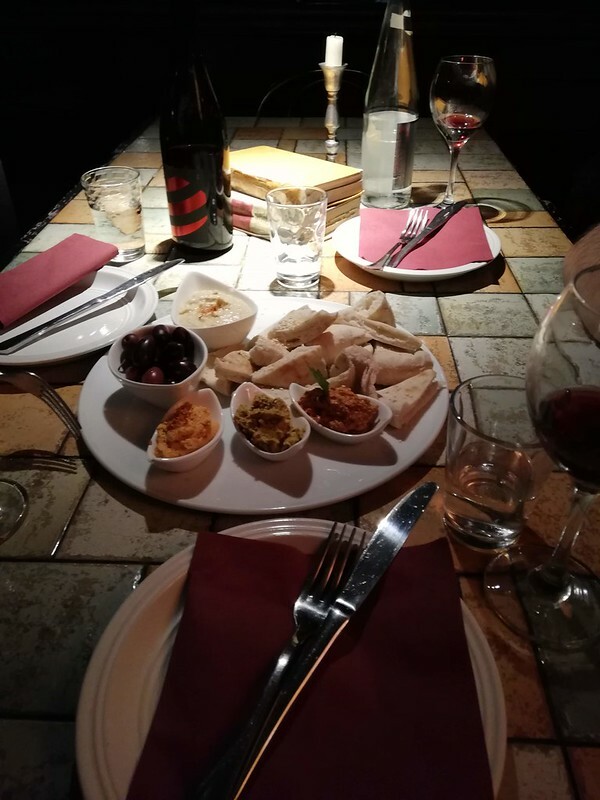 It has a very rustic look and besides dinner, you might be lucky enough (like we were) to enjoy a live concert of traditional and folk Serbian music. 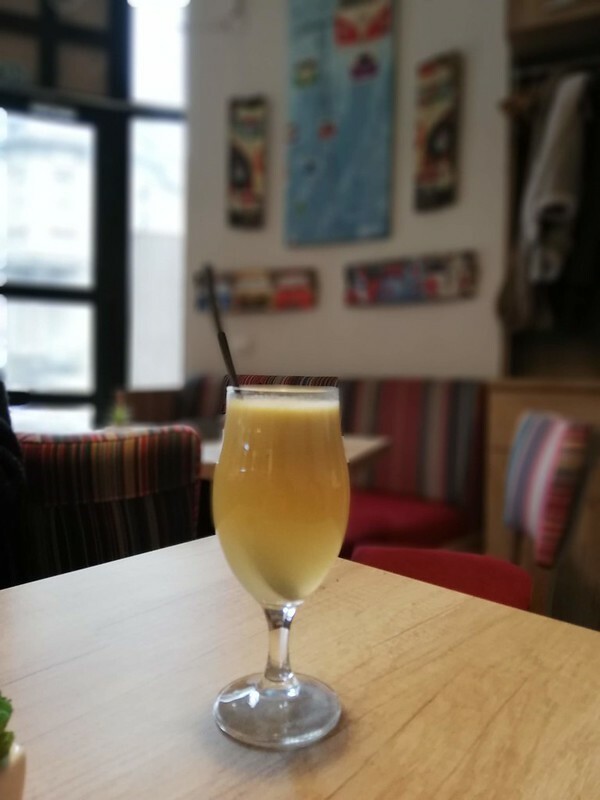 After a few shots of rachia (local traditional alcoholic drink made mainly of plumbs), you kind of start to enjoy the show. As for the menu, expect the heavy stuff that Eastern Europe is so used to. Big portions of meat, combined with potatoes (in all forms – fried, baked or boiled), all sorts of stews, soups full of vegetables and meat. Extremely delicious, but you might need some more time to digest than after a light salad. Still, the place needs to be tried out, to see a different kind of dinning. A must try when there is the garlic bread – it’s something we continued eating even after we just could ingest anything anymore. 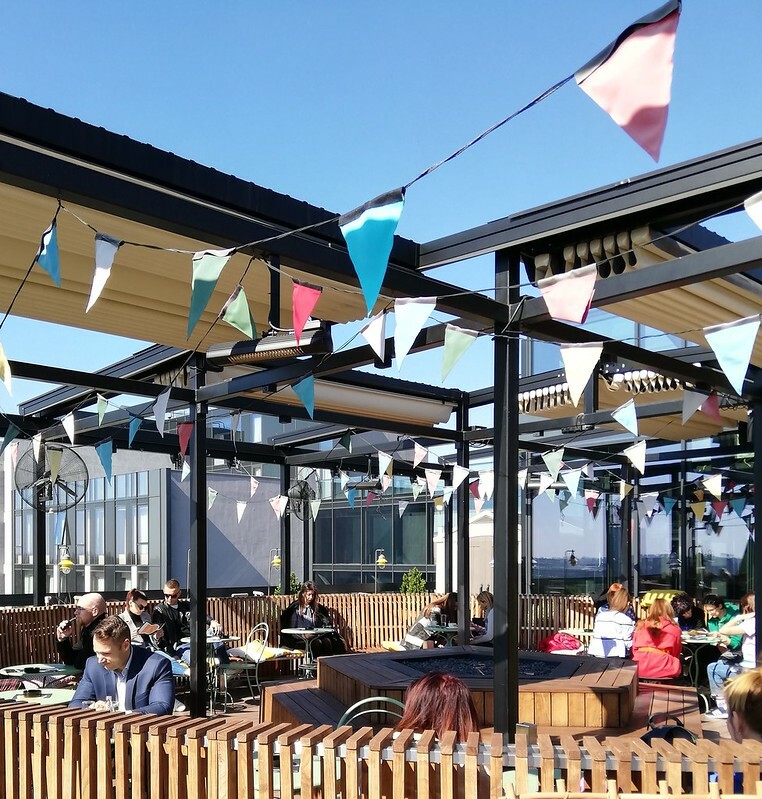 Mama Shelter is the place you want to check out if you’re in search of on outdoor pub/bar on a sunny day. Right in the city center, you get a very nice view of the city, the place is very relaxed and comfortable and it makes you feel like you’re somewhere next to a beach. They have quite good cocktails, a food menu also (that we didn’t try), but the view there is the one actually worth every penny. Especially at sunset. This place is pure heaven from head to toe. 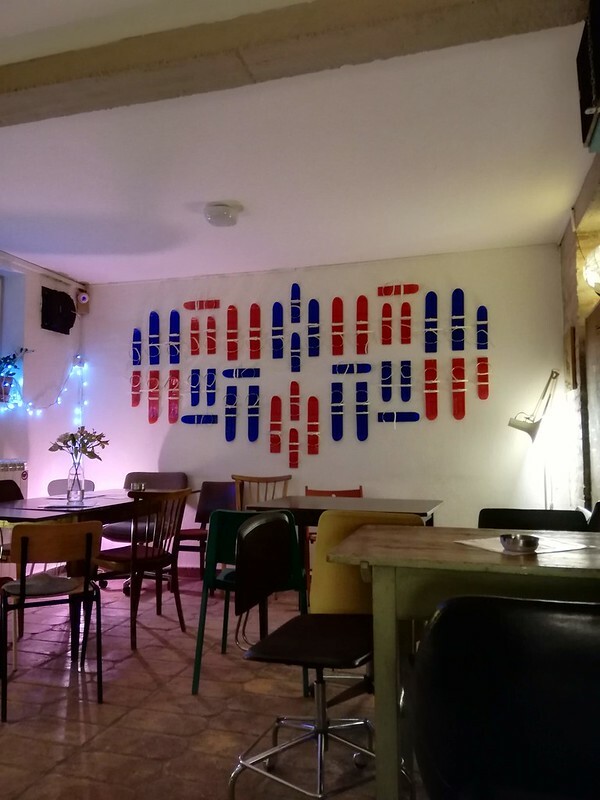 Excellent drinks, made on the spot by some very talented bartenders, small and very old-school Eastern Europe looking, great music played on vinyl and an old landline phone that still works and often rings for bookings. The guys there pay a lot of attention to what you feel like drinking. They do have a menu, but if nothing works for you, you can just tell them what kind of drinks you prefer and they make something on the spot for you. They don’t allow any photos inside (but we did manage to take one undercover, because the cocktail I had tasted and looked sooo good) and you can only get in if you have a reservation. 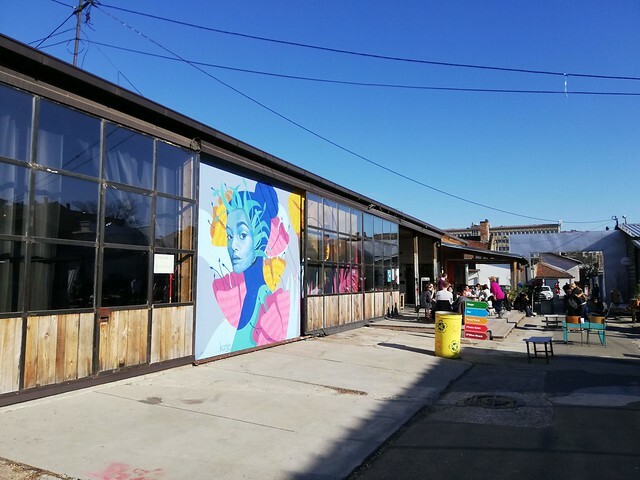 Dorcol Platz is an outdoor space open in an old industrial area of the city, where you’ll find parties, concerts, exhibitions, food and drinks, even a playground for kids, and cool people hanging around. There is always some event happening there so it’s a perfect place to go during weekends, or every weekday after work. 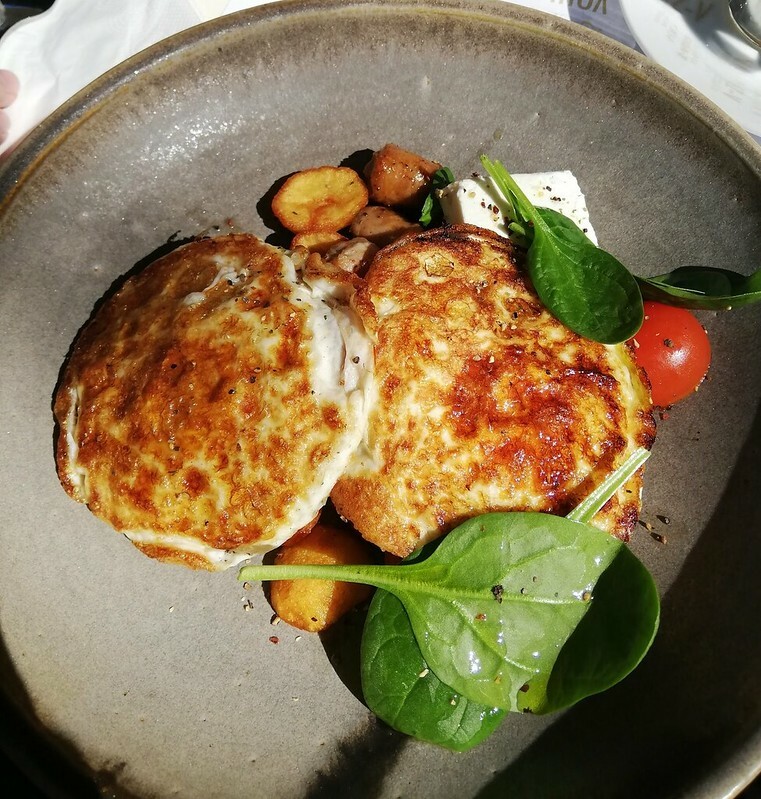 Not necessarily a top pick for us, as the crowd there is not necessarily the one we enjoy having around, but this places does have a very nice outdoor terrace, perfect for warm and sunny spring days and a good offer on breakfast. Here’s our Belgrade map. The article will be periodically updated. 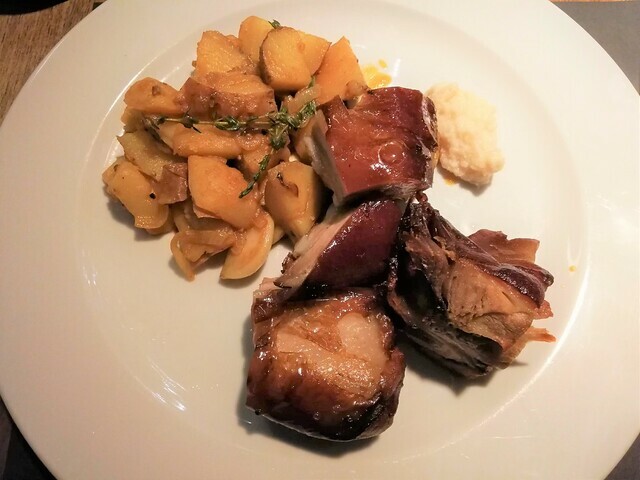 Previous Post [Romania] Why Slow Food in Sibiu?